Sugar pours from a spoon in a cup. Slow motion. 240 fps. hd00:16Sugar pours from a spoon in a cup. Slow motion. 240 fps. 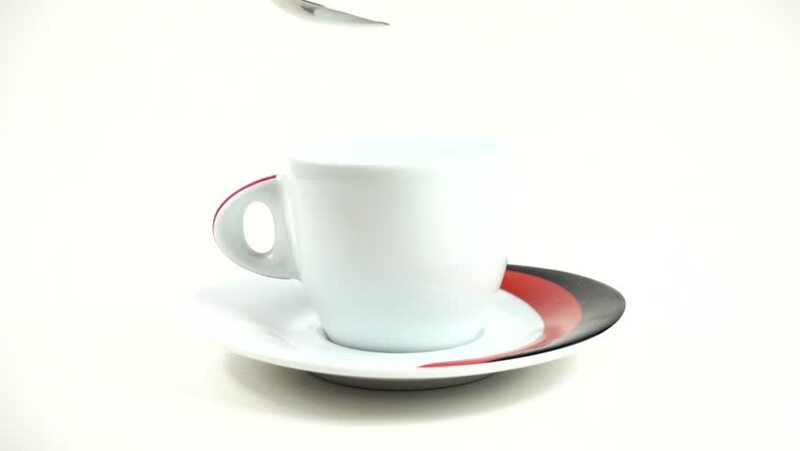 hd00:18Rotation white cup with a black coffee and coffee beans. Black, steaming coffee in white cup. Close up. hd00:08Cup of tea with some additional filling poured by anonymous woman's hand with a plastic syringe. The cup stands on a brown wooden table.